Get ahead with a very complete motorized screen. The 2nd generation of Embassy motorized screens gets ahead with unseen features at that price level: integrated infra red remote control, provided deported sensor to allow the case to be slot in a box, lacquered aluminum case, opaque black back to install the screen in front of a window, black borders, extra-drop for a better contrast, screen material with perfect color response. 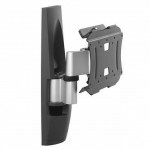 Delivered ready-to-plug, it’s easy to install on a wall or on the ceiling. 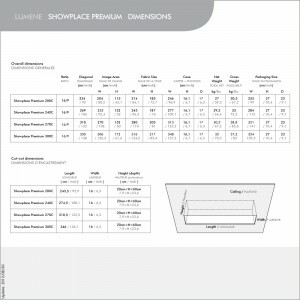 The Showplace screen is designed for installation in a false ceiling in order to disappear completely when not in use. Using the same ultra integrated control system of the Majestic and a Somfy motorization system, this screen offers the absolute best for prestige installations. The Coliseum Premium is today’s most complete tab-tensioned motorized screen. Its material offers a perfect colorimetry and a large field of vision. Its opaque black back allows an installation in front of a window and its black borders improve the contrast level. A fine adjustment of the lateral tension ensures a perfect material flatness. The fast and safe attachment system allows an installation on wall, ceiling or suspended. This fastening system has a large latitude for brackets placement: an important advantage for specific installations. It uses a Somfy tubular motor, reliable and quiet. Its control interface includes an integrated infra red command (with a fine adjustment system for the screen material positioning), a provided deported sensor (allowing the casing to be slotted in), a trigger input and a RS232 interface for home automation. The Coliseum Premium is today’s most complete tab-tensioned motorized screen. Its material offers a perfect colorimetry and a large field of vision. Its opaque black back allows an installation in front of a window and its black borders improve the contrast level. A fine adjustment of the lateral tension ensures a perfect material flatness. The fast and safe attachment system allows an installation on wall, ceiling or suspended. This fastening system has a large latitude for brackets placement: an important advantage for specific installations. It uses a Somfy tubular motor, reliable and quiet. Its control interface includes an integrated infra red command (with a fine adjustment system for the screen material positioning), a provided deported sensor (allowing the casing to be slot in), a trigger input and a RS232 interface for home automation. 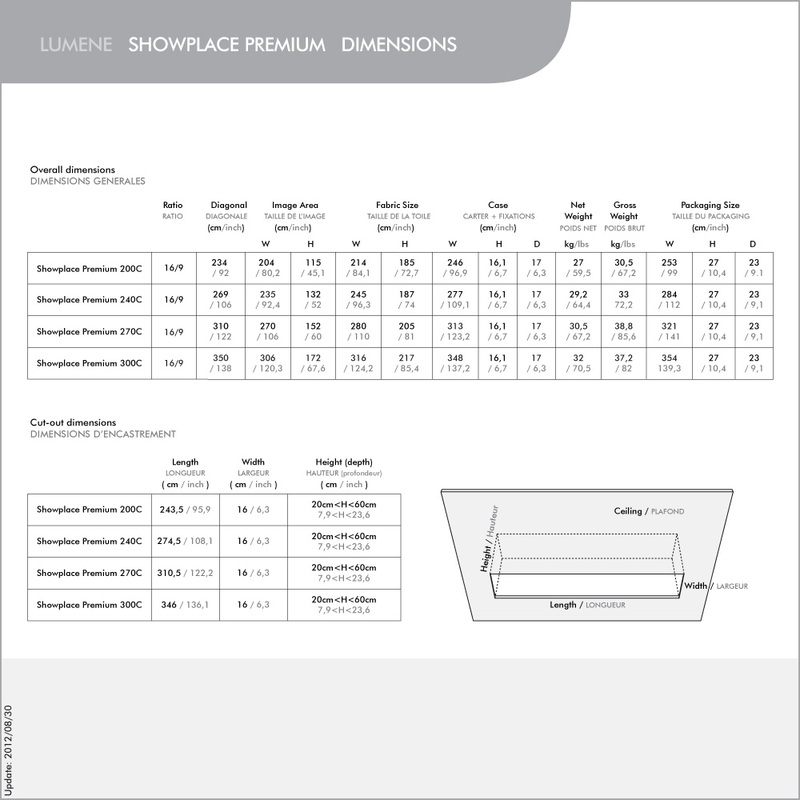 The Showplace screen is designed for installation in a false ceiling in order to disappear completely when not in use. Using the same ultra integrated control system of the Majestic and a Somfy motorization system, this screen offers the absolute best for prestige installations.